Laura Rodriguez joined NBC6 in September 2013. She is thrilled to be doing what she loves in the city where she was born and raised. Before joining the NBC6 team, Laura was a general assignment reporter at CBS58 in Milwaukee and the 10 pm co-anchor for Noticiero Telemundo Wisconsin. Prior to that, she was a weather anchor at Telemundo Chicago. Some of the most notable stories she has covered include Pope Francis' visit to the United States, the Parkland Highschool shooting, and the change in U.S.-Cuba relations. Laura has interviewed several local, national, and international leaders including President Donald Trump while he was on the campaign trail. Laura is bilingual and often contributes reports for NBC6's sister station Telemundo 51. Laura is a proud graduate of Northwestern University where she founded the first Spanish-language newscast and where she was also part of the award-winning Northwestern News Network team. She found a passion for journalism while she was a student at Our Lady of Lourdes Academy and Conchita Espinosa Academy in Miami. After years of a successful medical career and a prestigious speaking legacy, he saw a need for specialized orthopedic care centers to efficiently assess and treat a range of orthopedic and sports injuries and founded OrthoNOW®, the nation’s only orthopedic care franchise. Each OrthoNOW® has a team of orthopedic specialists on staff that treat multiple issues including fractures, sprains, torn ligaments & muscles, chronic pain including back pain, osteoporosis, workers compensation injuries, employee health issues, cuts, arthritis and sports injuries. Dr. Badia, a two-time South Florida Business Journal Top 100 Power Leaders in Healthcare and a Top 100 Under 50 Diverse Executive Leader by Diversity MBA Magazine, has also been honored with Legacy Awards from Today's Work Comp Professionals and The Doral Business Council. OrthoNOW® was named a “Top Ten Franchise Opportunity” in healthcare by Entrepreneur Magazine and featured in the following media: Franchise Times, Orthopedics This Week, South Florida Business Journal, Franchise USA Magazine and The Miami Herald. Dr. Carlos Sesin graduated Phi Beta Kappa from Cornell University with a bachelor’s degree in Mathematics. He earned his medical degree from the Robert Wood Johnson Medical School in New Jersey, where he was elected to Alpha Omega Alpha, the medical honor society. He went on to Harvard’s Brigham and Women’s Hospital where he completed his internship and residency in internal medicine, and thereafter to NYU – Hospital for Joint Diseases where he completed his fellowship in rheumatology, and where he also served as chief fellow. 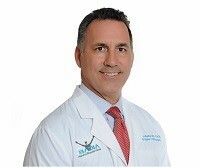 He is currently Chief of the Division of Rheumatology at Mount Sinai Medical Center, in Miami Beach, Florida, and Clinical Assistant Professor of Medicine at Nova Southeastern College of Osteopathic Medicine. 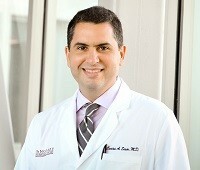 He teaches medical students and residents at Mount Sinai Medical Center, where he also runs its monthly Arthritis Clinic. Visit Dr. Sesin's fundraising page to join or donate to his team today! 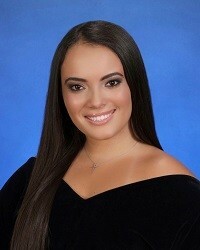 Lilly Felipe is a high school senior (18 years-old) at Our Lady of Lourdes Academy. She was diagnosed with juvenile rheumatoid arthritis (JRA) at the age of ten years old after a knee surgery triggered her diagnosis of arthritis. At first, it was frustrating because Lilly’s rheumatologist could not find a treatment that soothed her pain. She was not able to close her hand and hold a brush to brush her hair, or close her hand to tie shoelaces. After a year of trying new treatments, including infusions, her rheumatologist finally found a treatment that worked for Lilly and she was extremely relieved! Living with arthritis has taught Lilly to have compassion for others and herself. The pain from living with this illness has made her more humble, and she knows that is okay to ask for help and lend a helping hand anytime when needed. This is one of the reasons why Lilly is so passionate about community service to help others and is actively involved in her school and community service programs. Lilly is extremely and humbled to serve as the Student Honoree Award for the Miami, FL Walk to Cure Arthritis. She is a believer that with the support from each of our families, friends, doctors and the Arthritis Foundation we can all rise up and overcome this disease. Lilly has faith that there will be a brighter day for each of us in the future because with all the work that the Arthritis Foundation does we will find a CURE for arthritis. Visit the fundraising page of Lilly Felipe to join her team or donate today! 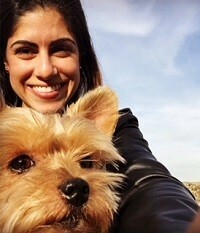 Emily Abraham was first diagnosed with psoriatic arthritis as a senior veterinary medical student at the age of 24. At that time, only her knee and toe were affected and the onset of the symptoms was fast. Using her family’s medical background, they quickly found a diagnosis but it was as shocking as it would be to any young aspiring professional and her family. Emily was treated with various biologics and methotrexate for years, switching from one to another because more joints continued to become affected. Two joints initially affected had become more than 20 joints. She developed a drug induced lupus and rheumatoid arthritis secondary to the biologic medication used to treat her arthritis. Emily has not let her diseases affect her success. She married her soulmate, Carlos, on a magical night last year and they enjoy their home filled with their three puppies - Yogi, Minnie, and Ziggy. Emily is a practicing veterinarian at Knowles Animal Clinics and she empathizes with her arthritic patients daily, even practicing acupuncture for them. Emily is honored to accept the adult honoree role to advocate to never lose hope. It is a long and exhausting journey, but so imperative to never forget what makes you happy and appreciate it a little extra. Tell the people you love that you love them. Emily has grown closer to her grandmother, Tati who is nearly 81 years young, since her diagnosis. They share arthritis, treatment tips, tricks, and even rheumatologists. Join Tati and Emily with our team Yogi & Co. at the walk to represent that it is ok to be in the process of getting better as long as you never lose hope for a CURE. Visit Emily’s fundraising page today to join her team or donate!